Everyone knows that posting on your blog helps in a number of ways, but knowing what to post is important to. When you do keyword research on some common problems in your local business, it allows you to find out what ‘most’ people are searching for. 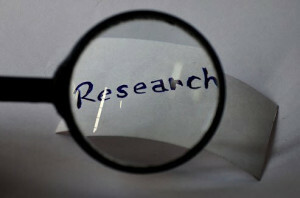 As you do the research, you may also find some keywords or phrases that you hadn’t thought about before. Here is a review of our first keyword video – we used Google to help us find out keywords for naming our website. We’ll use the same tool to help us find out some great things to post about. 1. Set a goal for how often you want to post. If you decide to post three times a day, make sure that you post the same days of the week. We want our visitors to make it a habbit to stop by and see what we’re talking about on our blog. This is one of the resons why we use Aweber – we’ll go into that a bit more when we make the perfect blog post. We can use Aweber to let people know that we’ve just posted. 2. We’ll be using images as well. Take pictures of projects you’re doing in your business. Take pictures of staff members, if you have an event going on at your store, happy customers (with their permission of course) and anything else related to your business. Your cell phone should be able to take pictures and short videos – so use it. Do this keyword exercise as you need to. Many times I will think about a new / different keyword while I’m away from the computer. Make sure that you jot it down or you’ll forget it.